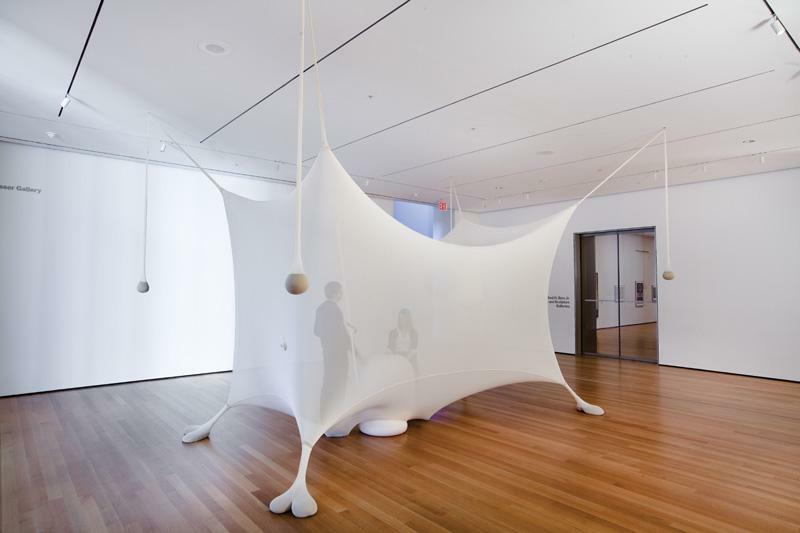 The Museum of Modern Art presents Ernesto Neto: Navedenga, an installation of the room-size sculpture Navedenga (1998) by Ernesto Neto (born 1964), one of the most influential Brazilian artists working today. 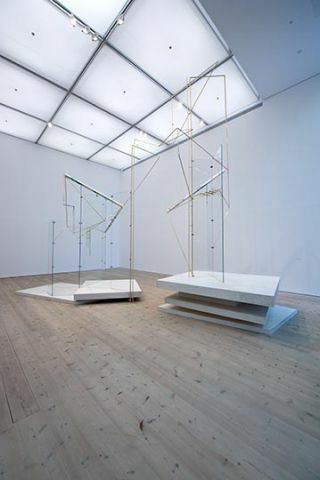 Navedenga was acquired in 2007 and is on view for the first time at the Museum from January 22 to April 26, 2010. 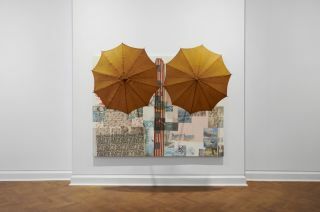 The installation is organized by Doryun Chong, Associate Curator, and Nora Lawrence, Curatorial Assistant, Department of Painting and Sculpture, The Museum of Modern Art. 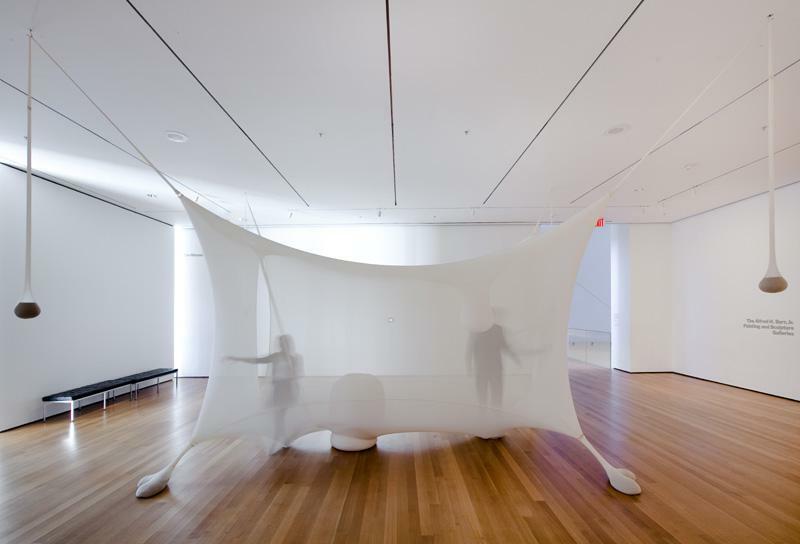 Since the late 1990s, Neto has been creating enveloping sculptural environments using translucent stretch fabric. 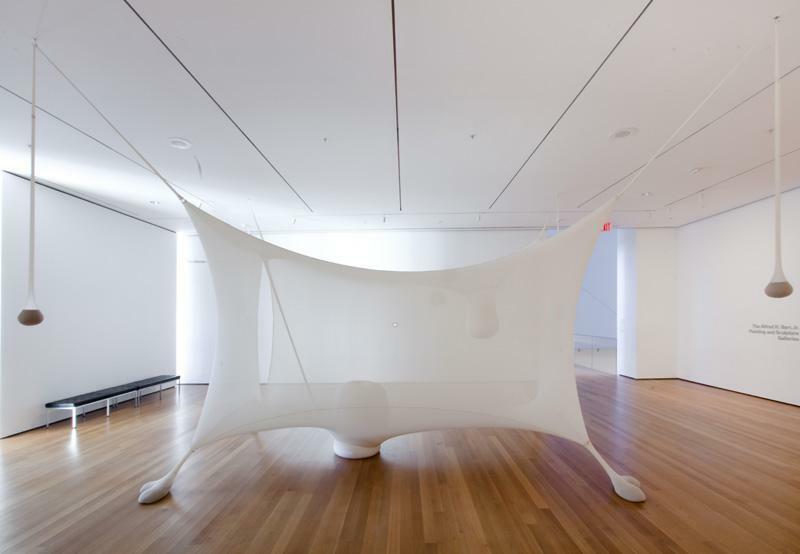 Navedenga, an important early example from this ongoing body of work, is a large-scale sculpture constructed from Lycra fabric, Styrofoam, and sand, and embedded with aromatic cloves. With its soft, sensuous surface, round, taut contours, and orbed appendages, Navedenga references and evokes the human body. 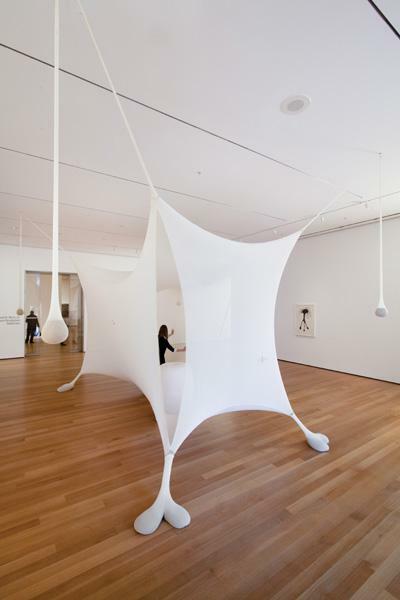 Its material is pliant and responsive to touch, like human skin. 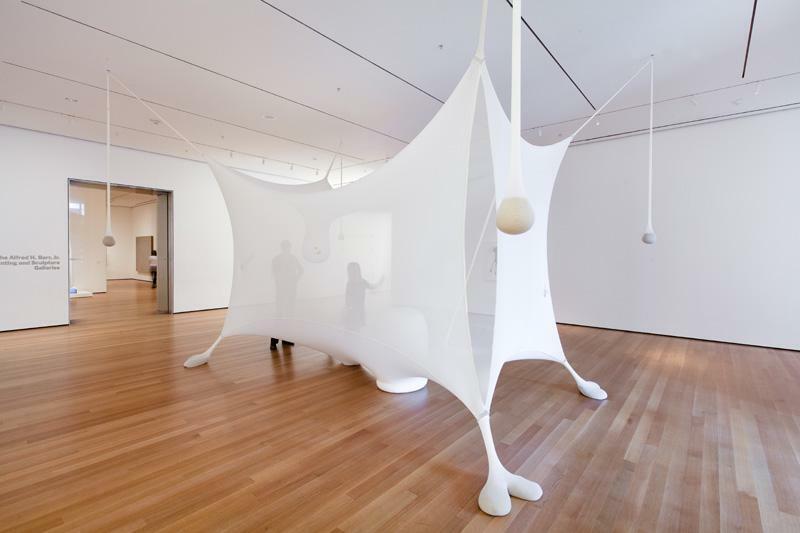 Visitors are invited to enter the sculpture’s hollow chamber and engage their visual, tactile, and olfactory senses. The form and the title of Navedenga’a neologism created by the artist that recalls the Portuguese word nave, or ‘ship’‘suggest both a fantastical spacecraft and a protective womb. The work is part of a series of ‘naves’ by Neto, which allude to journeys both intimate and expansive, feminine and masculine; they encompass a profusion of symbiotic oppositions. With this series, a major change took place within Neto’s oeuvre. While his earlier work fits comfortably within the conventional boundaries of sculpture, these larger, quasi-architectural bodies meld ideas of sculpture and environment. 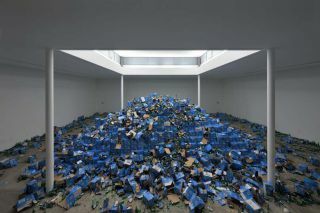 Neto cites Brazilian artists of a generation preceding his, such as Lygia Clark and Helio Oiticica, as influences on his interest in reframing the role of the viewer. Viewers of Neto’s works are not passive spectators; rather, they are active participants in the work of art, and factors upon which the work’s meaning rests.